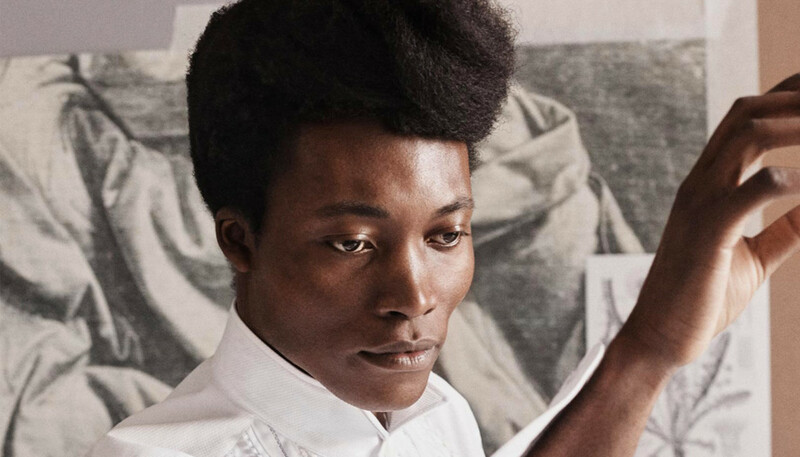 Two years since he rose from obscurity to beat Florence and the Machine and Aphex Twin to the Mercury Prize, Benjamin Clementine is unveiling an ambitious second album inspired by our troubled world. We spoke to the British troubadour to find out about the aftermath of his win, and to hear how Damon Albarn, the refugee crisis and rolling TV news helped influence I Tell A Fly. You were catapulted into the spotlight with your 2015 Mercury Prize win. How did life changed for you after that? Did it have a big impact? Judging by the attention I’ve got, yes. It has had an influence, of course. [The album] didn’t sell a lot but it’s still made people look in my direction a little bit. And, of course, I’m more than honored to have won the Mercury Prize. It’s nice for people to appreciate what you do, but life goes on I suppose. Do you feel the Mercury Prize is still a helpful initiative? It is useful for helping music. Whether it’s doing enough, I’m not quite sure. But it certainly is one of the assets that is very important to artists that are trying to break the UK. It is very hard to break the UK, so to have been awarded something like the Mercury Prize is a plus. I think we should do more though, but that’s another topic. Did you have pressure from your label to repeat the success of your debut, or pressure from fans to produce more of the same? No, luckily for me I haven’t had any pressure from my fans. The thing is I’m not a popular artist. I want to be a popular artist, but I’m not the kind of artist that has got a formula, I suppose. So I’m really lucky to be in the position I’m in because my label know that I’m not the guy who’s going to write hits. Maybe I’ll write hits for other people, but I don’t think I’m really interested in that for myself... I don’t get any pressure from anyone to be honest; it’s easy going. Of course, for the first album I did because there was banter between me and my record label, but eventually they allowed me to do what I wanted to do and, winning the Mercury Prize obviously helped me as well because then it’s all proving a point. So I think they had to allow me to do what I wanted to do. Listening to the new album, it sounds like you’ve had free reign to explore whatever interests you. Can you tell us about what your goal was for I Tell A Fly? It was mainly to talk about my time and what’s happening right now; to take a different approach, to be more narrative, and to talk about matters that concerned me greatly. You know we’ve been bombarded with a lot of news about Syrians running away from Syria, and people getting shot for no reason in America, and flats getting burned in England because they’re not built properly. There have been so many things we’ve been told and we’ve seen and, as an artist, I can talk about myself all day but at a certain moment you get bored and you have to look at things from a different perspective. So I felt like if I was going to create a second album, I may as well make something different. Like you say, you tackle a real range of far-reaching subjects linked to politics and current affairs. Do you feel there is a sense of duty amongst the music community to discuss these issues? I can’t say there’s a duty, because nobody can put a gun at anyone’s head, and nobody has. But I think it’s a natural instinct, really, and I think it is about how you do it. I’ve done it this way, but I think other artists do it in certain different ways that might not seem quite obvious. But I think as an artist it’s natural that you somehow delve into the situations around you. Some artists find a formula because it breeds money and success and fame. Other artists do things differently to bring themselves happiness and satisfaction. I’d be happy if every artist did more to somehow give us what is realistic, but every artist is entitled to their own creation. There are a few songs on the album that deal with the experiences of refugees and immigration, and on “God Save The Jungle” you reference the Calais jungle. Did you visit it? I didn’t say Calais jungle, but obviously they will say that because they’re linking to it. It’s fine. I haven’t been to the Calais jungle but I know what it means to be suffering and trying to find a safe place to be. I know what that means, because I’ve been through that. It’s very easy to sit down and watch television news, but that isn’t going to solve anything, you know; a bunch of people trying to get near you is something that people don’t want to relate to. I think that it isn’t an easy situation we’re in. It should be of no surprise because ever since we were all born – ever since we matured into the state we are in right now – we all had to travel to a certain place, wherever that was, by wandering through our minds or wandering down the street. And the clock is always ticking; everything is moving. The matter is of whether we are capable to look after ourselves and look after other people. I think the real issue is that we are not looking after our own selves and at the same time we’re being asked and forced to look at other people to see what we can do to help. So it’s two things intertwined. And that’s the problem, especially in England. I am an artist, not a politician, but from what I know of the refugee crisis, Germans have accepted and looked after so many more aliens and immigrants than the United Kingdom. I don’t own the United Kingdom, so if people there don’t want to accept refugees then so be it. But for me, it is a sad situation. Can you tell us more about the time you spent in America ? But that period is reflected in “Jupiter”, right? Well, I don’t want politicians to impact on my songs... There’s too much noise, there’s too much noise. There’s too much fear: the fear that someone’s going to do something to you. From Fox News to CNN to BBC News, even Twitter, every day I remember in America there was always something going on like, pray for Paris, pray for New Orleans, pray for Orlando, you know? There’s this fear thing going on, and I looked to myself because you’re meant to appreciate life, and what life brings you. You struck up a friendship with Damon Albarn in the interim between your two albums. How did Damon help with this record? Well, Damon didn’t have any creative influence on [the album], but in his studio he’s got so many instruments so I had the opportunity to use new instruments, like the Korg Chroma and Polaris. I also had the chance to work with his engineer, Steven Sedgewick. I actually spent more time with Steven Sedgewick than Damon Albarn simply because the timing was wrong: Gorillaz were just coming back and they didn’t have time to make things happen. But it was great to have met him, and he’s such a lovely person. We shared some thoughts and ideas. Tell us about the decision to self-produce? On my first record I did the same thing too; I just co-produced with another guy. Look, I just think a lot of people haven’t believed in me in my life. I remember when I was in France and I met Mark Ronson, in a bar in Paris. A friend of mine introduced me to him, and I remember giving him my song “Cornerstone” to listen to and he listened to it and after he gave the tape back he said nothing to me. And a few years later I won the Mercury Prize by co-producing my album with Jonathan Quarmby, who nobody knew. I produced by myself, but I worked with about 15 people, creating this second album. I’m learning quickly because I eventually want do production much more than making music for myself to be honest. And also, it’s cheaper to produce things yourself. (Laughs) And it saves you from the nightmares of record labels because it saves the label a lot of money. But I admire Rick Rubin and all these guys. We’ll see what happens with my third album; maybe I’ll go to one of them? But I’m happy with what I’ve done as a trial and we’ll see what happens. Is there anything else you’ve learned in the making of this album? Yeah. I’ve learned how to produce things, how to use a mixing desk, and to liaise with engineers and mixers and mastering engineers and studios themselves. I’ve also learned there’s a difference between recording a live album and recording a studio album, and also learned to just be more precise. Going forward I want to not think about the consequences: I just want to do something because I love it, and not worry someone will think that it’s rubbish. I’m looking forward to touring the UK. It starts in December. Before that I’ll be playing across Europe and America. I’m looking forward to Brixton Academy and also to the Ritz in Manchester. I’m mostly looking forward to English shows because I need to really prove a point. What point are you proving? Well, you know it’s stereotypes. 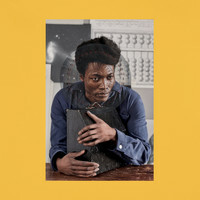 It’s very hard to somehow show people – especially in the United Kingdom – that if you’re a black man sitting in front of a piano with an afro, it doesn’t mean that you’re Ray Charles or Little Richard or Nina Simone. I have an ambition, not just for myself but for people that resonate with me, to clear out some stereotypes. And it’s not just about proving a point, because that sounds very sad. I also want to have fun; that’s what music’s all for, right?